Skeleton leaves are so beautiful, delicate and lacy. They are great for many paper craft projects such as making greeting cards and scrapbooks. They are also wonderful crafts for kids to work on. When I was a child, I used to make bookmarks with skeleton leaves. I took the fresh leaves, pressed them in a thick book and waited for them to dry. It usually took at least three weeks or more for the pulp to completely dry out. 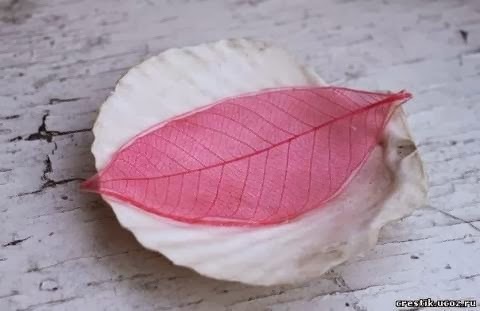 Here is a faster and easier way to make beautiful skeleton leaves. 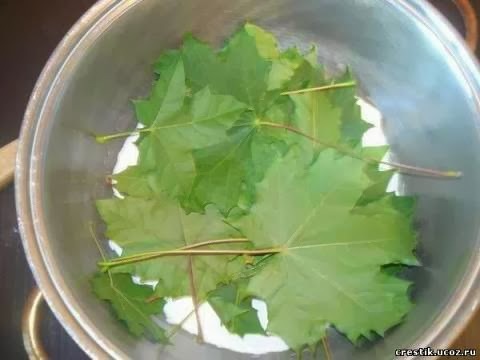 You can use any kind of leaf you like, but maple and oak leaves are good for beginners. 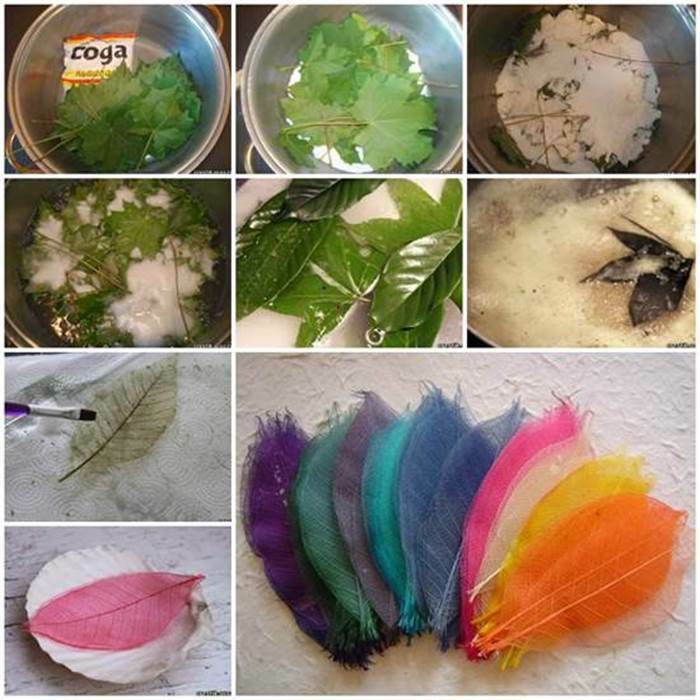 You may also dye the skeleton leaves for a colorful effect. Delicate skeleton leaves make wonderful accents to your favors. You can use them for gift wrapping, cards, bookmarks, crafts and decoration. Let’s get started! 1. Gather the leaves you want to skeletonize and place them in a pot. 2. 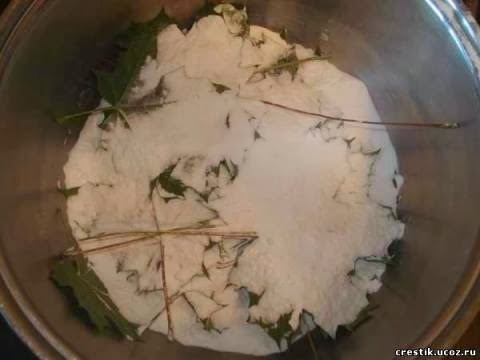 Pour 3/4 cup of washing soda and 4 cups of water in the pot. 3. Stir to combine the washing soda and water to make the solution. 4. Bring the water to a boil. 5. 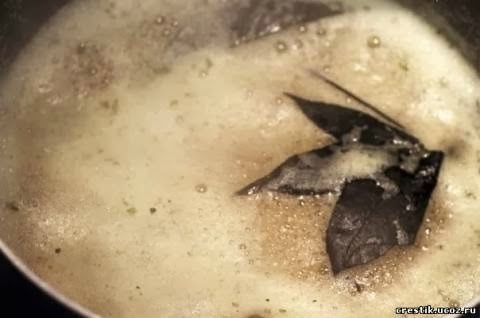 Allow the pot to simmer until the leaves are softened. Depending on the thickness of the leaves, this process may take 1 hour or longer. 6. 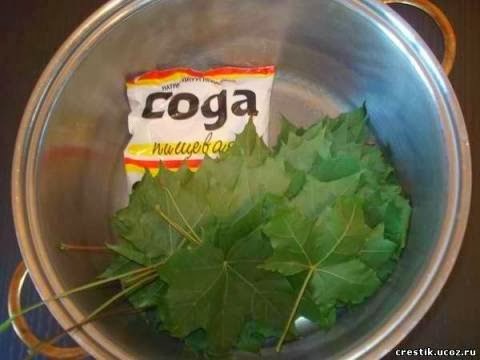 Remove the leaves from the pot, rinse them in clean water and place them on the paper towel. Wear your gloves and use a brush to gently rub away the leaf pulp. Be careful not to tear the actual skeleton. 7. 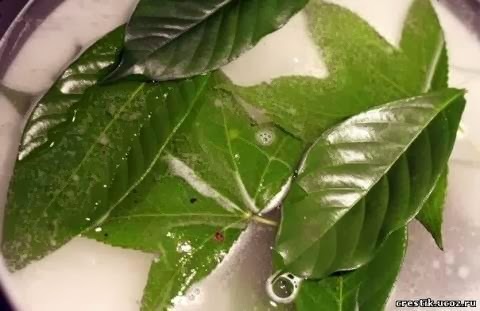 Soak the skeletonized leaves in fresh water, remove and let it dry. 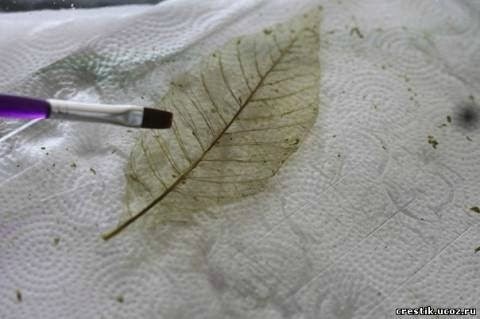 Dye the leaves with food coloring and allow it to dry completely. 8. 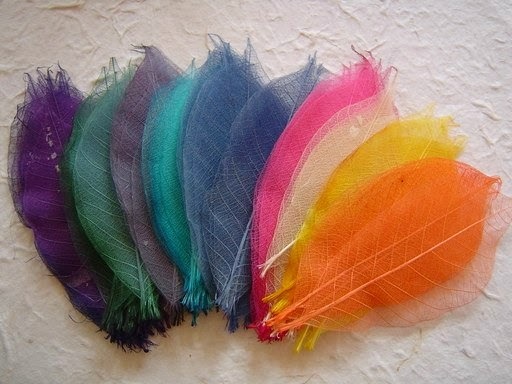 Continue to dye the leaves in various colors. 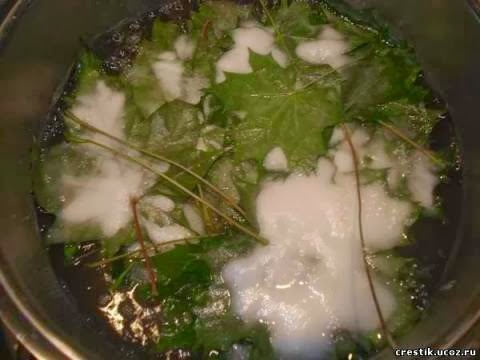 If you want a white skeleton leaf, you can soak the leaf in a solution of 50 ml of bleach and 1 cup of water until it turns white. Then remove it from the solution, rinse with water and let it dry completely. Suggestion: Different leaves require different combination of soda and water. You might have to experiment a few times to get the best result for the leaves that you have. Enjoy!